Single-serve desserts are not only easy and unsophisticated but also are less time-consuming and energy-savers. Why I call them energy savers is because they give instant satiety to your sweet tooth. And if they involve less sugar than otherwise needed , why not make them , enjoy and celebrate for a while. So whether you have completed your pending jobs or you got promoted or you received an unexpected surprise or you live alone and wish to indulge , this recipe is a saver for those days. 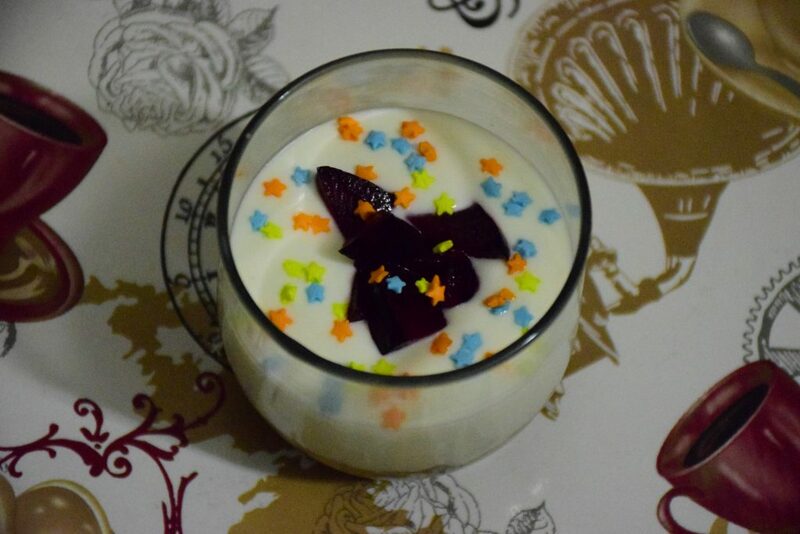 I got inspired by my sister Chetana to try this recipe on my own. 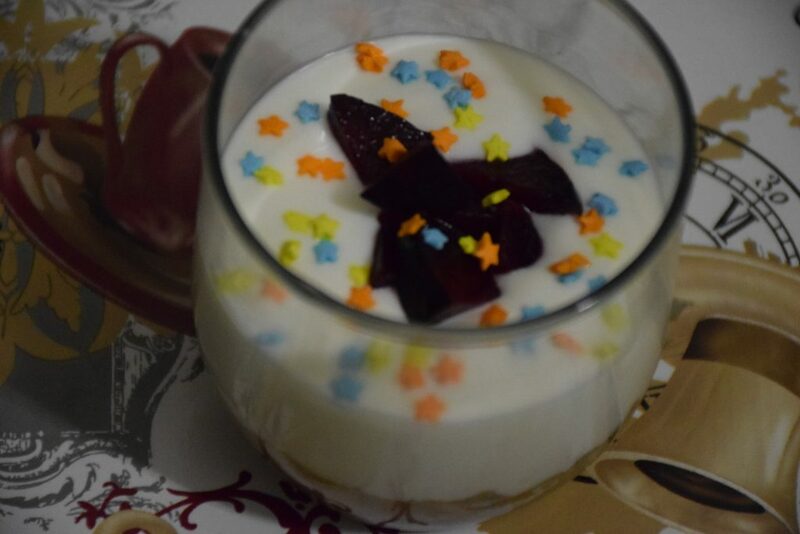 But today I am sharing this recipe as part of a Blogging Marathon started by Srivalli some years back, whose theme is “Single Serve Desserts“. 2. Next layer is the creamy sweet layer. Here too you can be creative. But for the plain ones, I recommend using home-made curd/hung curd/ greek yogurt with cream cheese. Warm the cream cheese in microwave a little to thaw it. 15-20 seconds are enough for this much cheese. Let it come to room temperature again if it has got too hot. 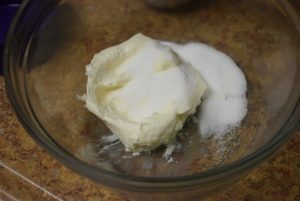 Now mix in the curd with a whisk or spoon. Adding sugar depends on your appetite and preference. If you prefer low sugar, you can skip sugar here. I added less than a tsp to get the right taste. You may also use Shrikhand for this middle layer. You can make this in a transparent tumbler or a bowl. This is an instant recipe ,hence it tastes best when consumed the same day. 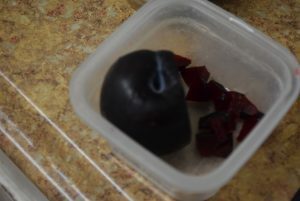 You can cover it with plastic freshwrapp and refrigerate the left-over for next day too. Since it doesn’t involve any baking or cooking ,even a kid can make this with your little help. I participated in Blogging Marathon BM#90 for 2 weeks. This is my 1st post under the “Single serve sweets” theme for the 4th week of July. To know more please check this Blog by Srivalli . You may also like my other single-serve recipes here like Shrikhand, Badam ka Halwa , Aate ka Sheera, Shakarkandi ka Halwa etc. 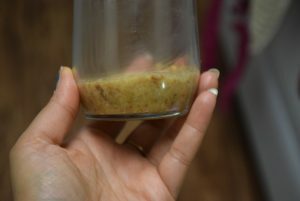 So whether you have completed your pending jobs or you got promoted or you received an unexpected surprise or you live alone and wish to indulge , this recipe is a saver for those days. 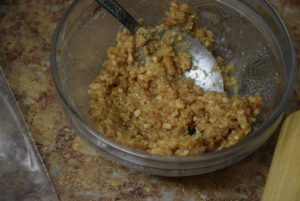 I got inspired by my sister Chetana to try this recipe on my own. 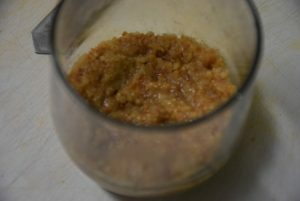 But today I am sharing this recipe as part of a Blogging Marathon started by Srivalli some years back, whose theme is "Single Serve Desserts". 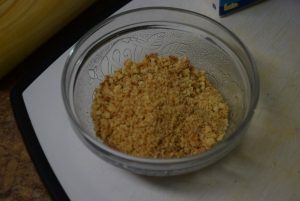 We begin with the bottom layer of crackers or biscuits. 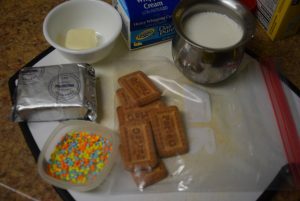 You can use any cream or non-cream biscuits in this layer. 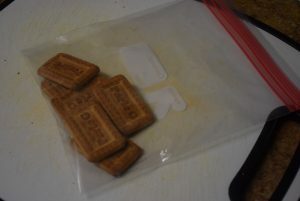 Take them in a ziplock , close it. 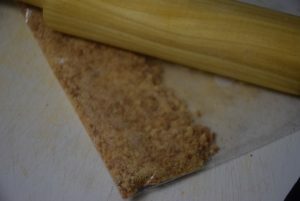 Then roll the ziplock with a rolling pin to crush the biscuits into a coarse powder. It doesn't need to be even. You may save some powder for garnishing in the end. 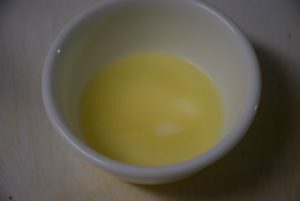 Mix it with melted butter in a bowl before adding to your glass or serving bowl. Next layer is the creamy sweet layer. Here too you can be creative. 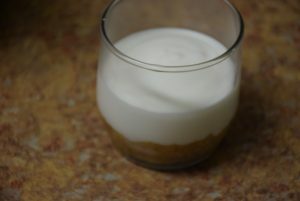 But for the plain ones, I recommend using home-made curd/hung curd/ greek yogurt with cream cheese. Warm the cream cheese in microwave a little to thaw it. 15-20 seconds are enough for this much cheese. Let it come to room temperature again if it has got too hot. Now mix in the curd with a whisk or spoon. Adding sugar depends on your appetite and preference. If you prefer low sugar, you can skip sugar here. I added less than a tsp to get the right taste. The topmost layer includes fresh fruits or cracker's powder or some whipped cream. I topped it with freshly cut plum pieces. You may use strawberries, oranges, cherries, apples, pineapples etc. for garnishing depending on your choice. Also add some confetti or sprinkles to add a pop of color. This entry was posted in Desserts, Food, Kids- Favourite, Recipes and tagged 10 mins assembling, a fancy easy dessert, Blogging marathon, BM 90, Carenshare, cream cheese, delicious, easy, energy-saver, greek strained yogurt, home-made curd, hung-curd, just assembling, kid's right hand, kids favorite, No Bake desserts, no cooking, no microwave, no oven, Shrikhand, shweta jindal, Single-serve, Single-serve sweets, Srivalli, time-saving, unsophisticated, zindagisikhati. I love these single serve treats..they satisfy your tastebuds and take care of the calories too. Awesome cheese cake. lovely and easy shweta. its definitely useful for us to bookmark this recipe…. as sometimes we crave for sweet somethings that serve just one or 2. True ! Thanks a lot dear ! This is surely a fantastic single serve dessert to enjoy!..looks so sinful. Single serving desserts are great and cheesecake is always a favorite. 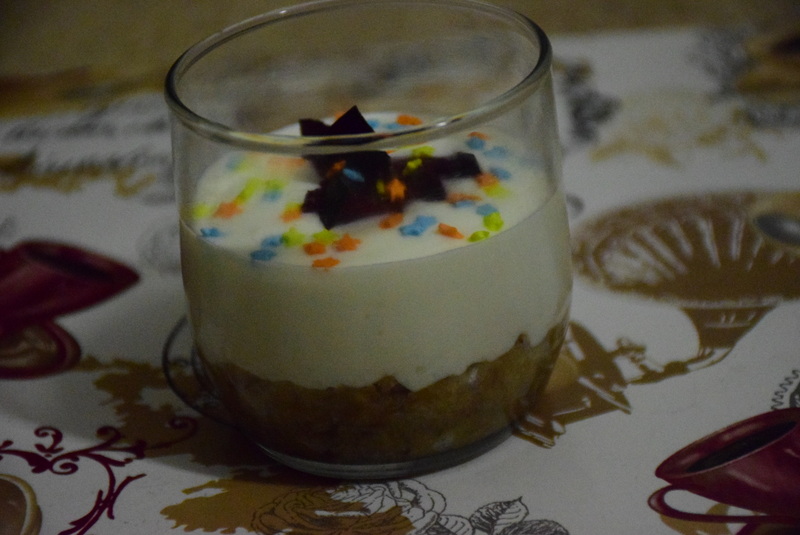 Irresistible no bake cheesecake, i dont mind having this ultimate dessert anytime. Lovely dessert there. A sinful indulgence for sure. Love that there is a fruit topping there! Yeah, me too. Love the fruits more than cream as the topping . I like these easy no-bake desserts for those sudden sweet cravings, good one. True !! Thank you dear ! Great to see this cheesecake for a single serve. Explained in details, love this no bake cake. great recipe share. Dessert looks so interesting and pretty. what an easy version of cheesecake – no bake but still has the different layers – perfect!